I met my mum this morning for coffee at Strandfield House, I usually go there once a week, its one of my favourite places to visit. 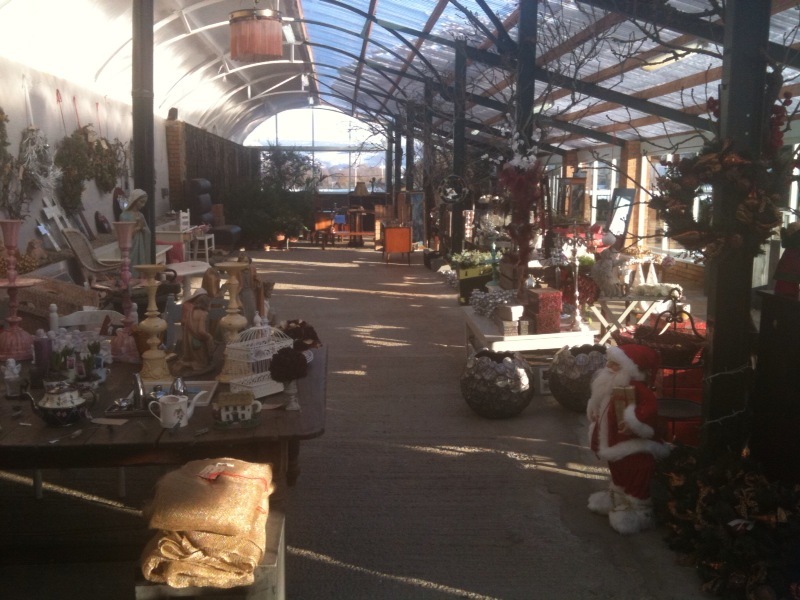 Strandfield house is a florist/garden centre, it’s also a farm shop/coffee shop/furniture shop/antiques/ bits n bobs. Jesus can you blame me for loving it, Strandfield truly has it all. Strandfield House Ballymascanlon, Dundalk, Co Louth. 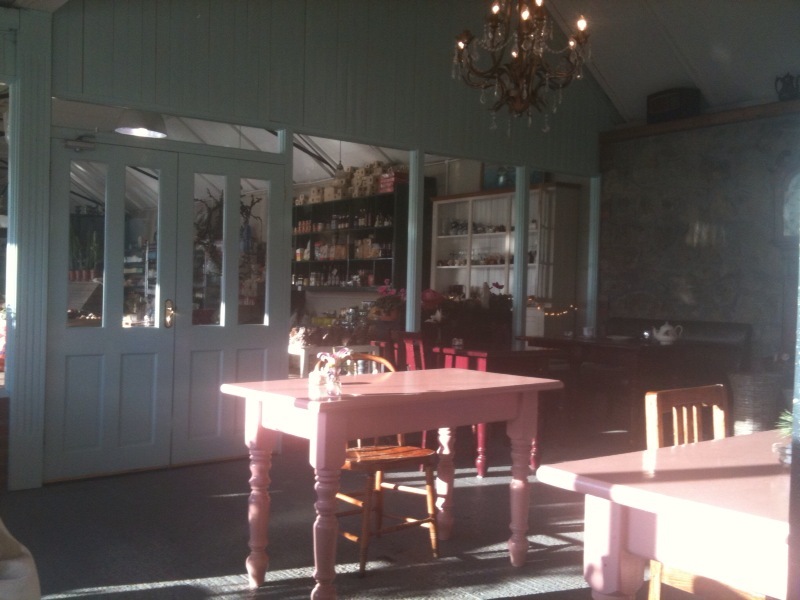 The coffee shop has a colourful vintage style to it, gorgeous coffee and full of homemade goodies. 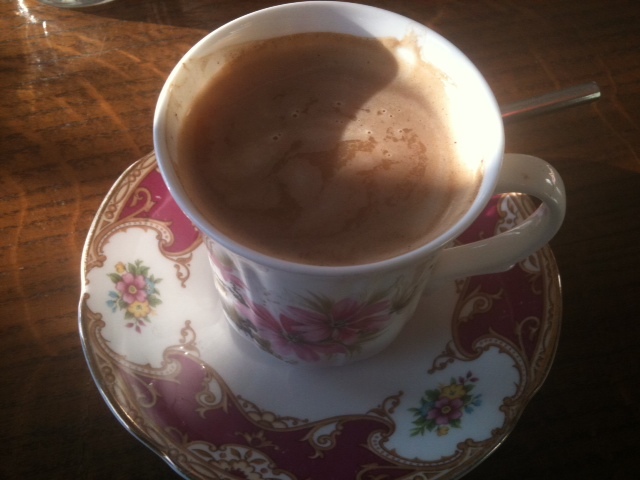 The delph is a mismatch of china cups and saucers, really beautiful, you can also purchase a variety of different sets. The farm shop is full of fresh fruit and vegetables. 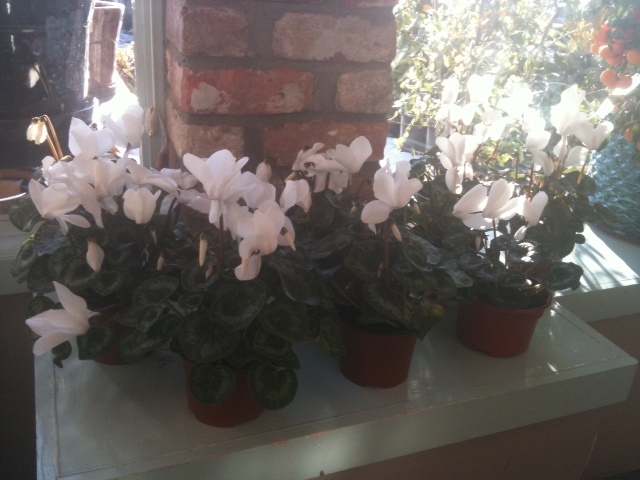 The Garden centre, has a huge variety of plants and flowers to choose from. 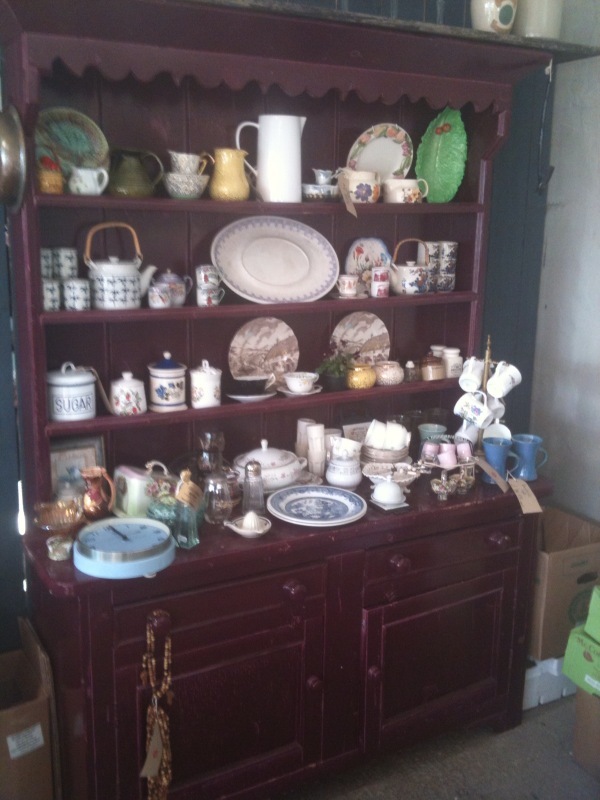 Strandfield House, is so full of beautiful things, its is definitely worth a visit and it is also open on Sundays. 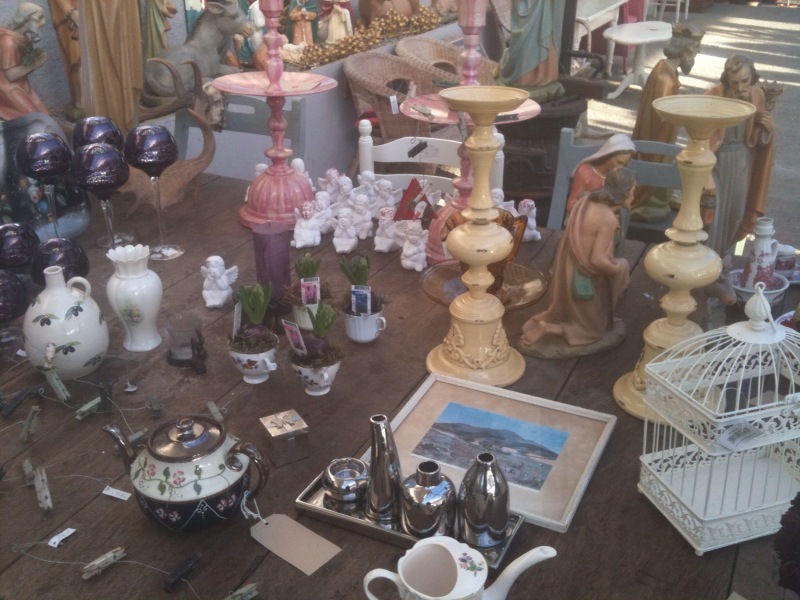 Candle holders and second-hand bits and pieces. 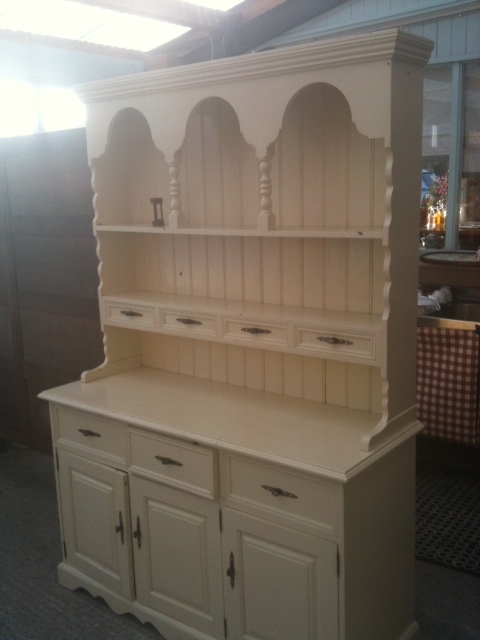 I have my eye on this cream painted dresser, I just have to find room for it in my house, will squeeze it in somewhere. 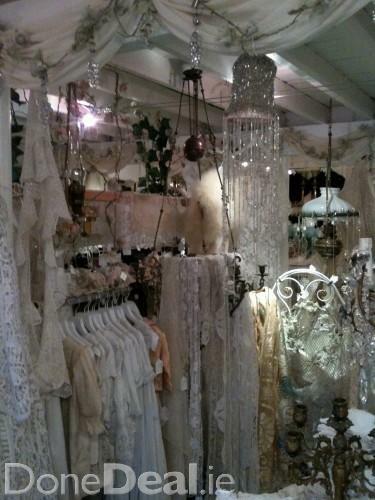 Lots and lots of Lace and pretty vintage goods. 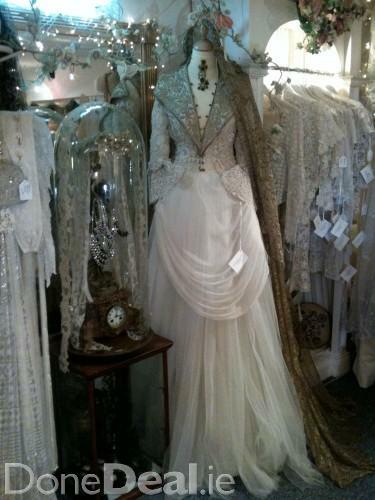 The shop is dripping down with beautiful vintage clothing. 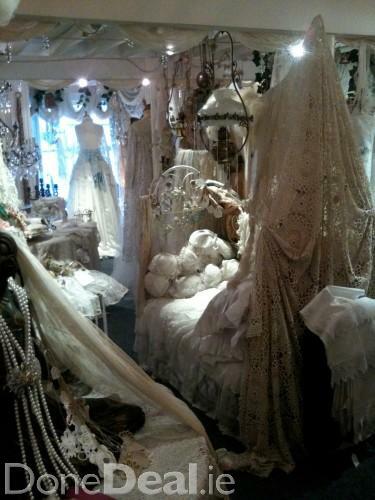 I will be like a kid in a candy store. 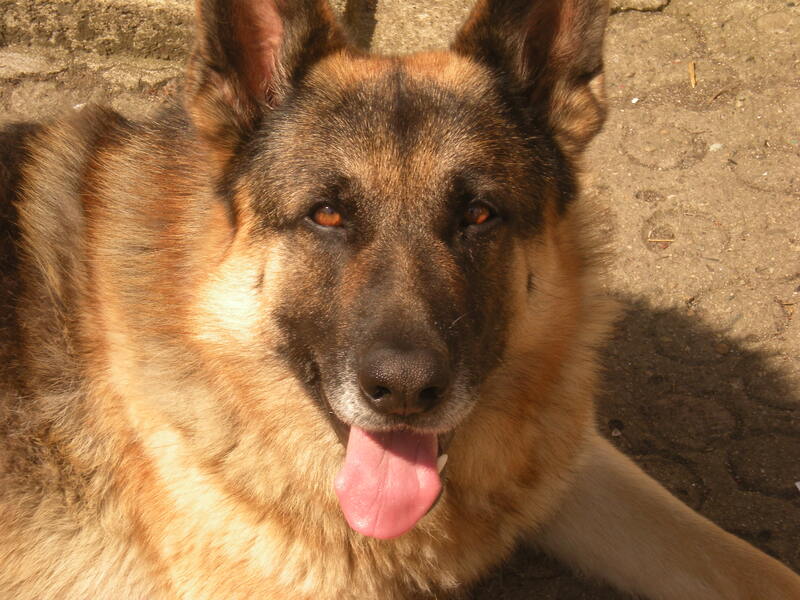 Seriously, it will be a dog day afternoon, Shannon my big bear of a dog has to go to the vet, (Shannon, male, I know he came with that name, rescue dog). He cut his paw last nite on, something, he’s limping and crying since last nite, worst than a child, I swear. So he is going to the vet, the only thing is, he won’t get into the car, will be a nightmare but he has to go, wish me luck. My Big Bear, Shannon,who could cry for Ireland. 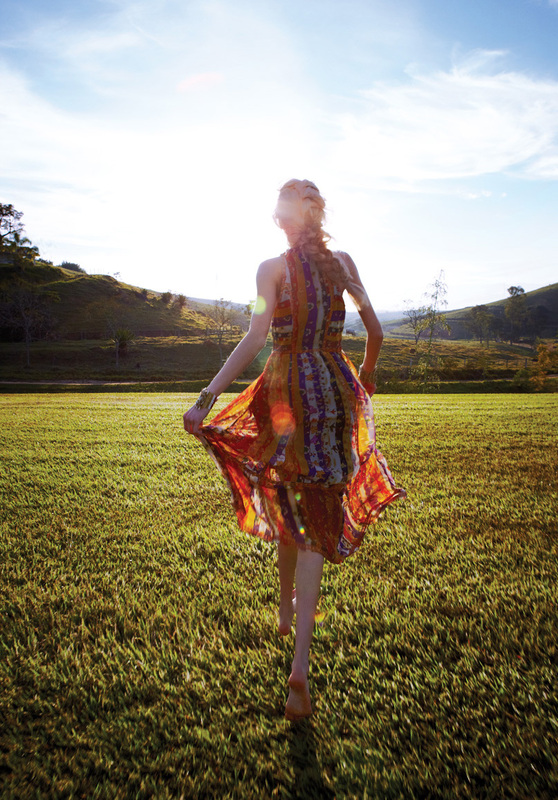 As soon as Christmas is over, I feel myself pushing towards spring, cannot wait for the bright evenings. Christmas this year was a mess and that’s putting it nicely, I was snowed in, no water for TWO WEEKS, had the flu and my family were all very sick Christmas day. 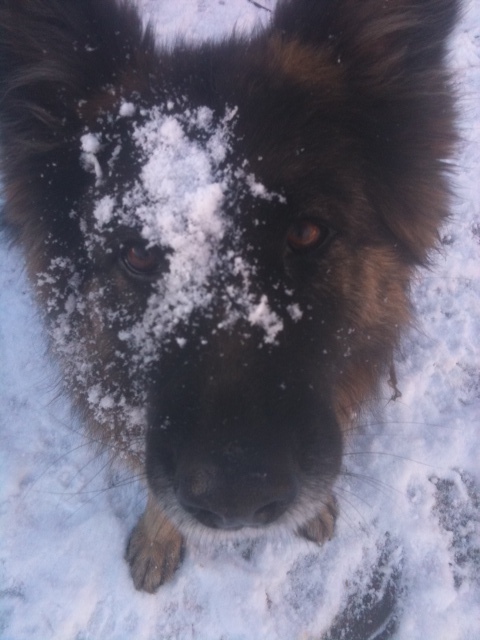 The only ones that enjoyed the snow in my house were the dogs. So Roll on Spring, roll on the flowers, roll on the sun, roll on bright evenings. Painted white furniture and wood mixed together brightens up this small room. The yummy soft pink colour on the walls adds a fresh feeling and the flowers bring it all together. Dulux, paint colour, Rice Flower is one of my favourite pinks for a bedroom. 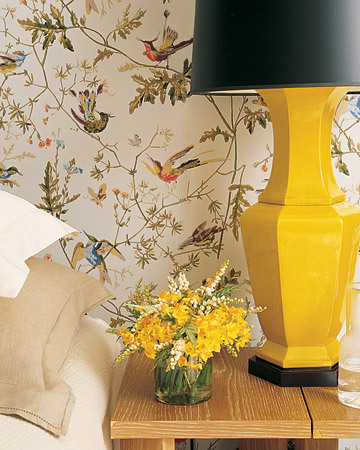 Yellow is all about spring, bring the outside into your home, you walls will come to life with charming bird wallpaper. 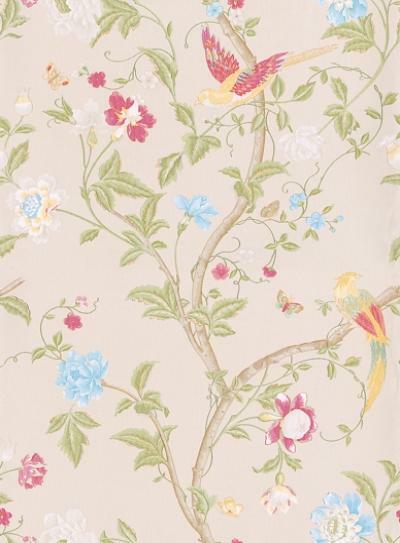 Soft and enchanting floral and bird wallpaper from Laura Ashley. A simple floral roman blind, adds a breath of fresh air to this kitchen. 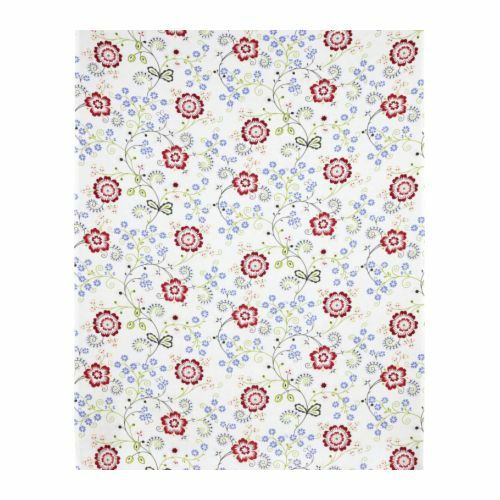 Floral fabric from Ikea, perfect for roman blinds. COME ON SPRING, hurry up, all ready for you.